Ömer Akin has been a faculty member at Carnegie Mellon University since 1977. He earned his Ph.D. from the graduate programs of the Department of Architecture in 1979 and has been conducting research on the design process and architectural ethics since then. 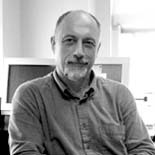 He has authored numerous publications on topics including creativity, early stages of design, architectural programming, computer aided design and human computer interaction. He has served as the chair of three international conferences and guest editor of several international journals. His teaching in the design studio deals with user occupancy and building systems integration; and in the class room with architectural decision making, the design process, and research methods. He has lectured nationally and internationally on related topics. He has been advising graduate students in similar areas of research since the early eighties. He has served in many administrative positions including as head of the School of Architecture. His personal accomplishments include professional recognition and national athletic championships.